Rhys began his journey at The Dial on the 29th of April 2017 when he joined our bar team. 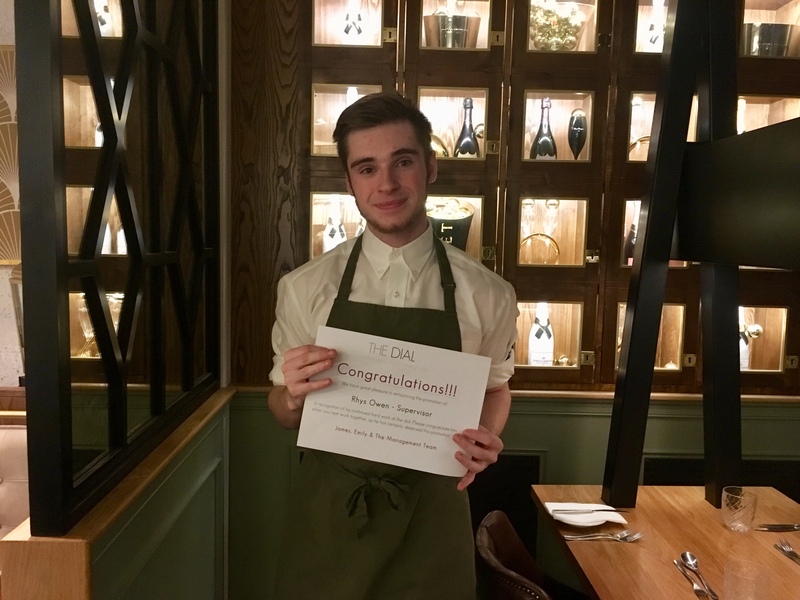 Rhys hasn’t been with us for too long, but he works blooming hard on all of his shifts and his hard work paid off when on the 17th of February he was promoted to the position of supervisor. He does have his flaws however. Rhys can tend to me a tad clumsy and can often be found of a Saturday night, spilling a tray of cocktails or taking out another member of the team! In his spare time Rhys enjoys swimming and taking part in triathlons (I say like, but does anyone actually enjoy that type of thing?). He has in fact, he has swam for the county and taken part in national triathlon races.